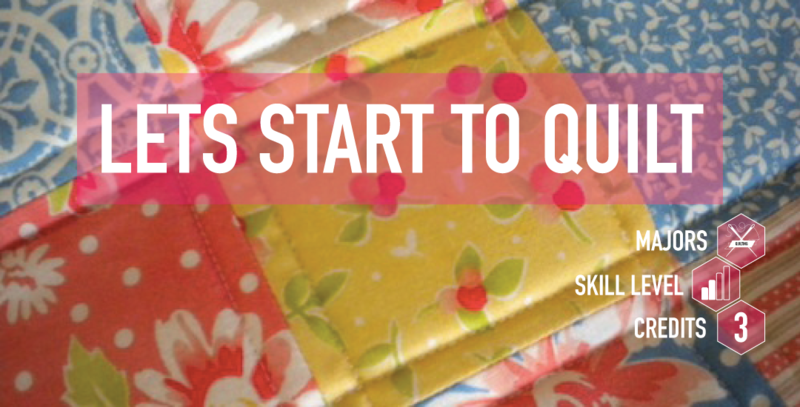 Let's start to quilt is designed to give you an overview of the skills you will need to learn to make creating a quilt fun instead of frustrating. Attendance in this class is recommend for the person who has no idea what is involved in making a quilt and also for the individual who has taken many of the basic skill builders we offer and wants a review before starting their first project. Some of the topics we will review are: choosing fabrics, rotary cutting, stitching accurately, pressing, borders, quilting and bindings. and stitching to excel in quilting. Please remember this is an overview of skills and to gain all the information needed to be successful, focused skill builders on each topic are recommended. If you have already taken many focused skill builders this is a good review!